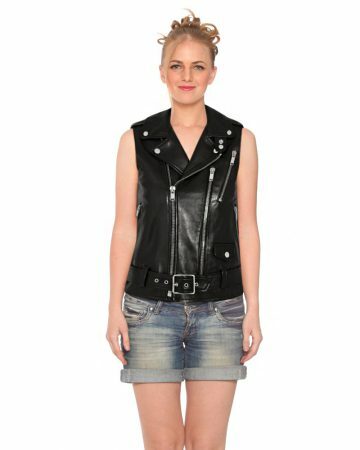 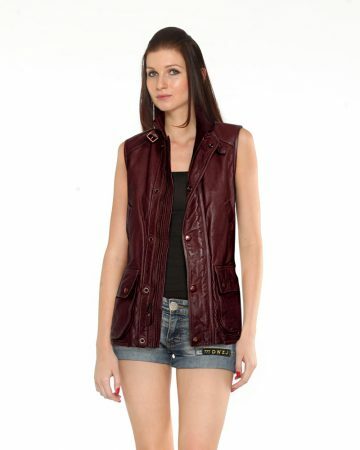 Flaunt your style with this stylish womens leather Moto vest. 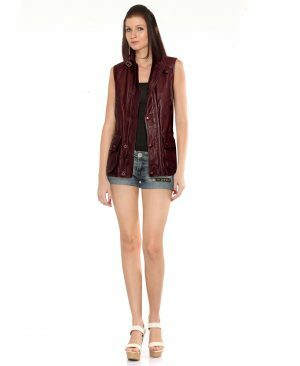 Bracing an impressive design with notch collar and multiple flap and zip pockets, this jacket is sure to increase your style quotient. 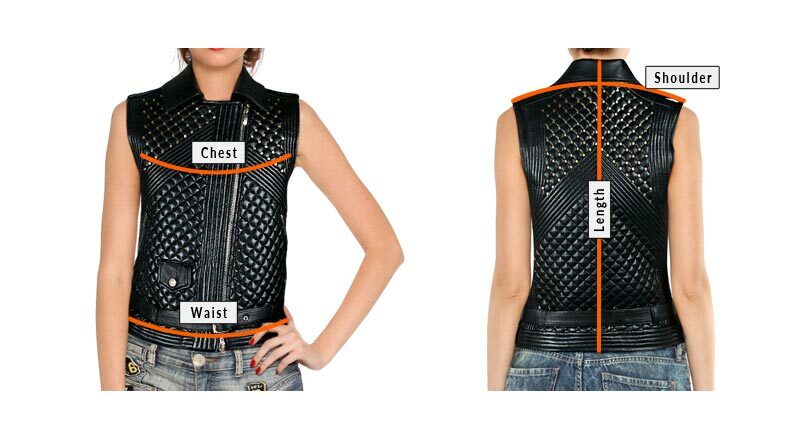 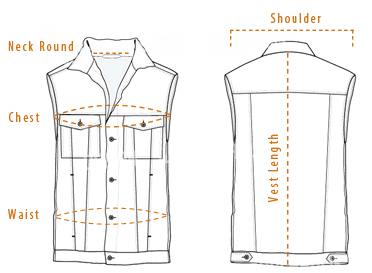 This leather vest comes with double breasted feature, adjustable side tabs and laced fringe at back for your convenience.